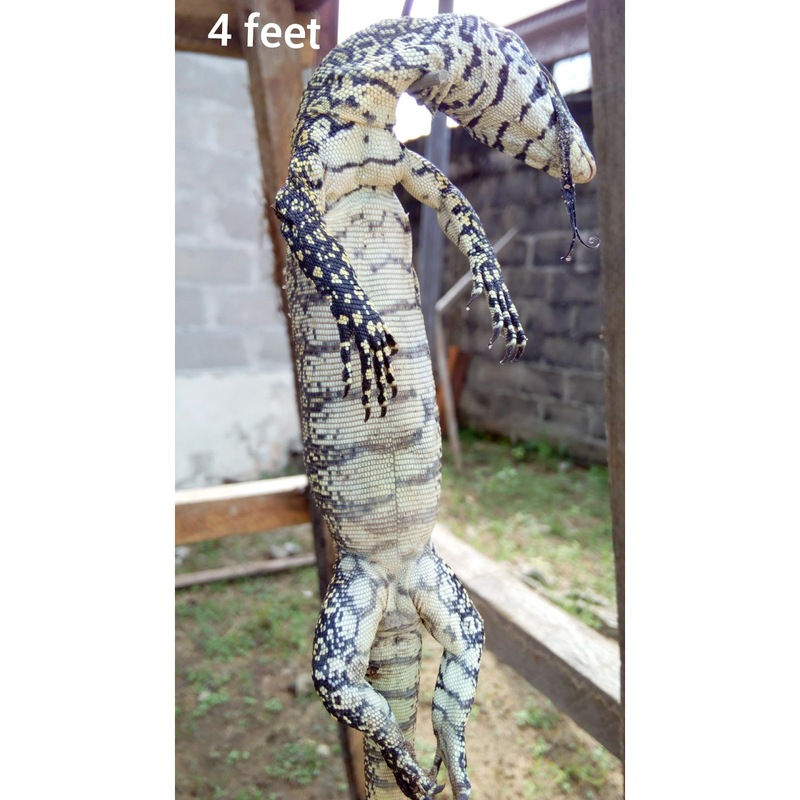 A Man in Joseph Orru Estate in Amuwo Odofin local government area, Lagos, Nigeria narrates how he killed a big Alligator in his neighbours bedroom. Francis Ogbolu said, that her neighbour called out for help, his reaching out to her neighbours door steps, lies a big alligator that he never expected. According to the people that were present when it happened, explained how the alligator has been putting fear in the life of the people that are living in that compound and it's neighbourhood. According to the young man that killed alligator mr Francis Ogbolu said, facing this alligator were some thing that its only a brave mind can do it. he added saying that the alligator is very strong, imagine the alligator that is about 4 feet tall. On the scene he said, that It even scares people of coming closer to see it the young man added. As he further more said that, this alligator his killed is just not by his power but it is as God wills it to be. People that where at the scene were very shocked because of how big the Alligator is. Below is the pictures of the Alligator killed.